In Lithuania the karuna is the name of a headdress of young women, which is very well known throughout Eastern Europe. 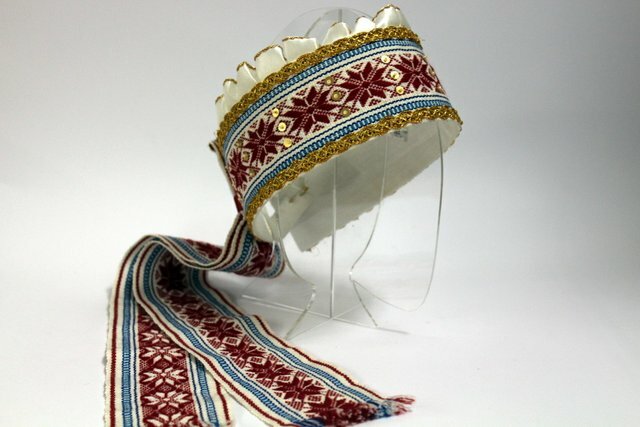 In Latvia, a similar headdress is called the vainags, while in Russia it is called the head wreath, or golovodets, and it differs from headdresses of married women that it does not conceal hair, allowing girls to show their luxurious tresses. 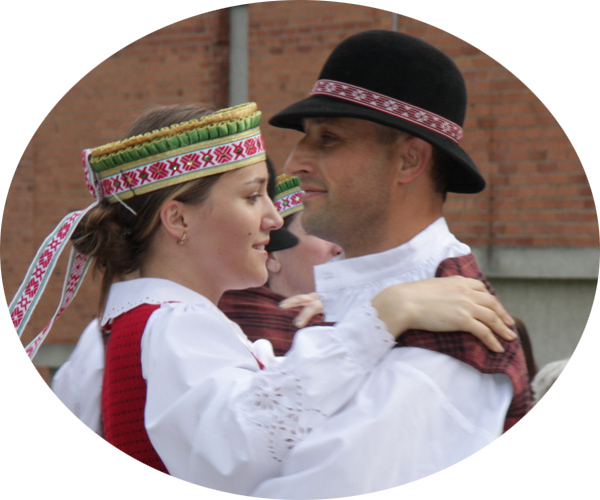 Lithuania is famous for her weaving arts, and the red diamonds on white background is one of the favorite motifs of weavers of Aukštaitija, repetitive on dresses, belts, and on headdress’ ribbons going down the back to the waist sometimes.